We have returned to school after the summer break with exciting news. 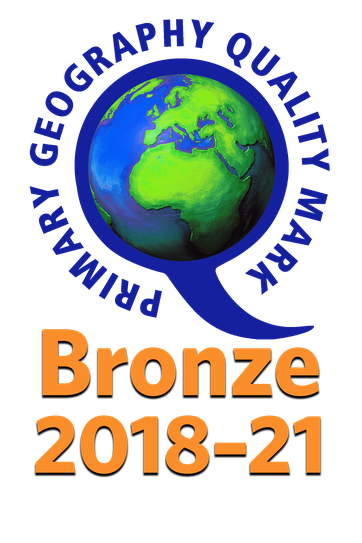 After many hours of hard work by Mrs Bull, we have achieved the Bronze Primary Geography Quality Mark (PGQM). It is fantastic that all of the hard work from our dedicated teaching staff maximises pupil learning. Teachers are not afraid to take risks, innovate and challenge to achieve progress in geography! A big well done to all the children and staff! !